Solar continues to look more and more like a mainstream energy source. 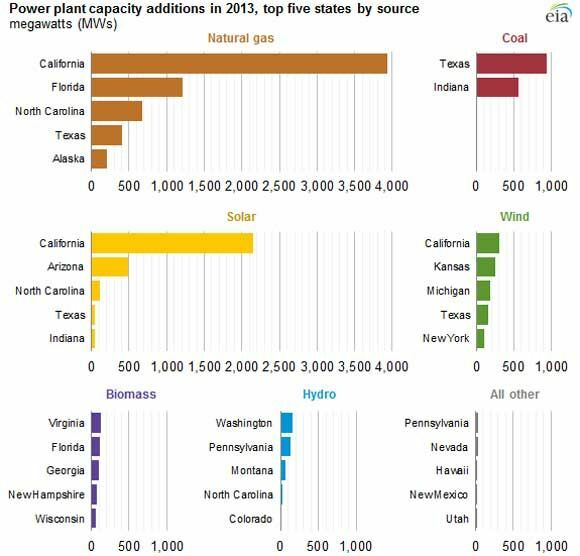 Natural gas was the clear winner in capacity additions for electric utilities in 2013, but grid-scale solar was the clear runner-up, providing about 22 percent of new generating capacity. Solar's contribution is up significantly from 2012, when it provided less than 6 percent of new generation, according to the U.S. Energy Information Administration. The jump in solar is unsurprising when looking at the geographic breakdown. Nearly half of the capacity added last year was in California, which has a mandate for 33 percent renewable energy by 2020. 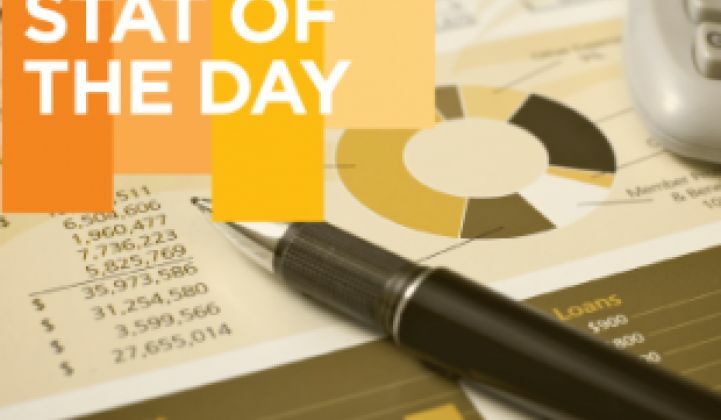 Although solar still represents only a small fraction of overall generation capacity, the solar industry is close to being a mainstream energy source in the U.S., according to Shayle Kann, VP of GTM Research. In October, nearly three-quarters of new utility-scale capacity in the U.S. was solar power. California is leading in adding distributed solar and new natural gas power plants, as well. The growth in natural gas power plants in the U.S. is not only because of low gas prices, but also due to gas-fired plants' ability to provide flexible generation amidst increasing rates of wind and solar. California also passed legislation in 2010 for once-through power plants to retrofit or reduce water consumption in the next decade, which will drive the retirement of older, thermal power plants where the cost of upgrading is more expensive than building new gas or renewable capacity. The picture for 2014 could look like last year, with its strong growth in renewables. Wind projects that began in 2013 and claimed the tax credit are likely to be completed in 2014, and state renewable portfolio standards will continue to drive utility-scale solar growth. In January, 100 percent of new generating capacity came from renewable energy. Is solar mainstream yet? Hear perspectives from NRG Solar, SolarCity, SunPower, and PSEG Power Ventures at GTM's Solar Summit. To learn more about Greentech Media’s flagship annual solar conference, visit: http://www.greentechmedia.com/events/live/solar-summit-2014.